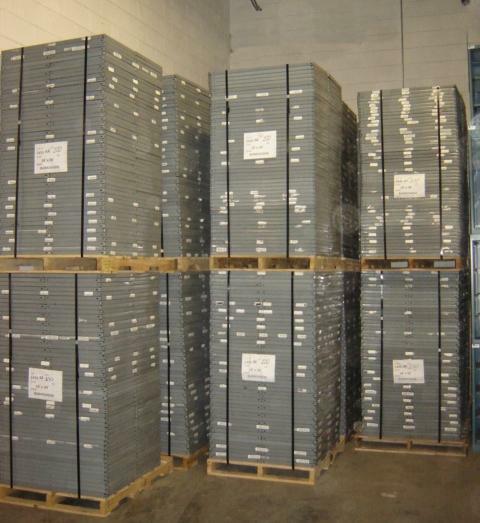 We have Steel Shelving in all sizes from 12" x 36" up to 36" x 48". We can offer units from 5' to 12' high with your selection of shelves and capacity. Call us for help with your layout.